IDOL. Acrylic and pen on Bristol. 5x7in. $150. 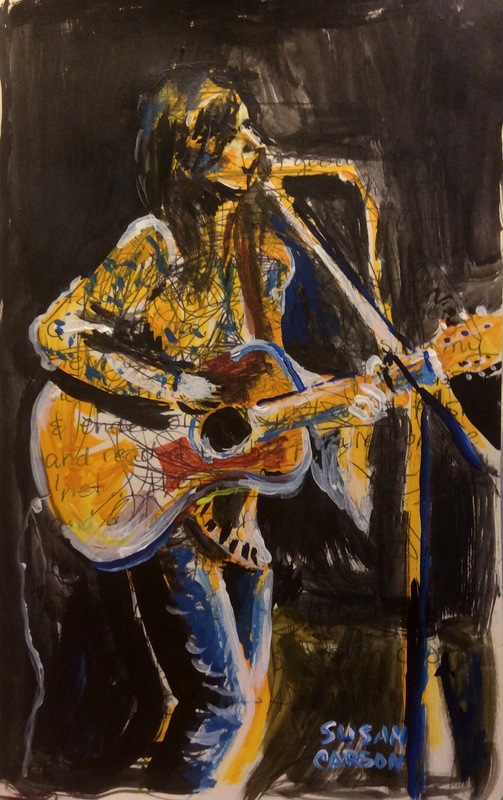 This is done from a photo of Donna Mogavero, a singer-songwriter I always admired in Columbus, Ohio. She is a great songwriter and performer and really writes great lyrics. You may notice I included lyric writing underneath the painting.